Each season as I plan and plant my flower garden I look to my brides for inspiration. Every flower that I grow, I envision it in a beautiful bridal bouquet, arbor or centerpiece. My floral designs are inspired by nature and since I am a flower farmer I am always looking at flowers in their organic state. So when I design a bridal bouquet or arrangement I have this in mind. Natural, free flowing, lush and out of the ordinary are some of words that come to mind when describing a bouquet, boutonniere or arrangement that I can design for your special day! If you would like to see if I can help you with your wedding flowers, click the above link and answer some quick questions about your event! I will be in touch with you shortly! I love creating special floral pieces unique to your personality! Whether it is flowers for the brides hair, or succulents woven into a bouquet or boutonniere… I love to find ingredients in nature that will create something unique and gorgeous! 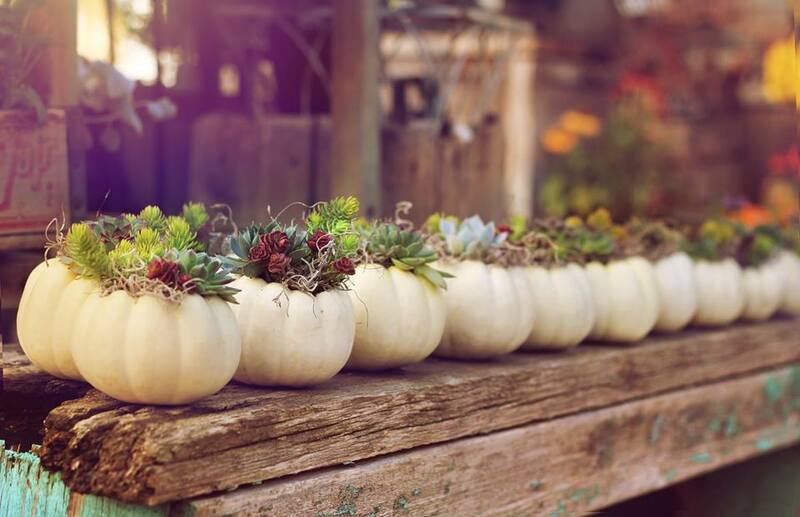 Scattered Seeds will custom create a detailed floral design plan for your personality, color palette, event décor and personal style. We will then handcraft your bridal bouquet, all bridesmaids bouquets, boutonnieres, corsages, hairpieces and any other personal wedding floral needs. Everything from ceremony arbors and garlands to reception statement pieces and accent arrangements is included. This package includes an on farm consultation and day of setup. I take care of all of your floral needs so you can relax and enjoy your special day. Are you looking for flowers for just your wedding party? No problem. I can create the bridal bouquet, bridesmaid bouquets, boutonnieres, plus any other personal flowers for your family, friends and special guests. You can do the rest using our flowers by the bucket. This package includes a farm tour and consultation. 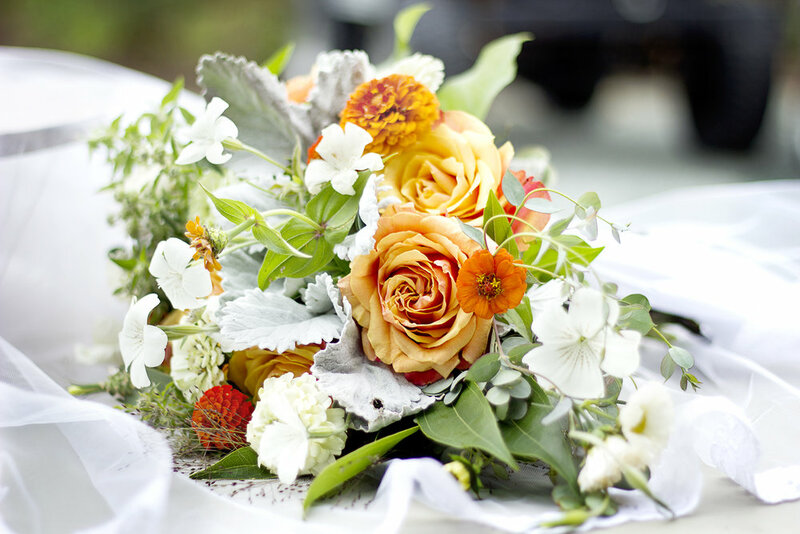 This option is designed for brides that want a hands on experience with their wedding flowers. If you enjoy the creative process and love to work with your hands this may be the choice for you. All of my wedding buckets come with a combination of focal & accent seasonal flowers, fillers and greenery in your color palette. Flowers can be ordered by email or phone. You are responsible for figuring quantities needed for your designs. Farm Tour and 1 hour brainstorming design session is an additional cost. *I recommend to brides interested in bulk buckets that they look over my Questions to answer page. 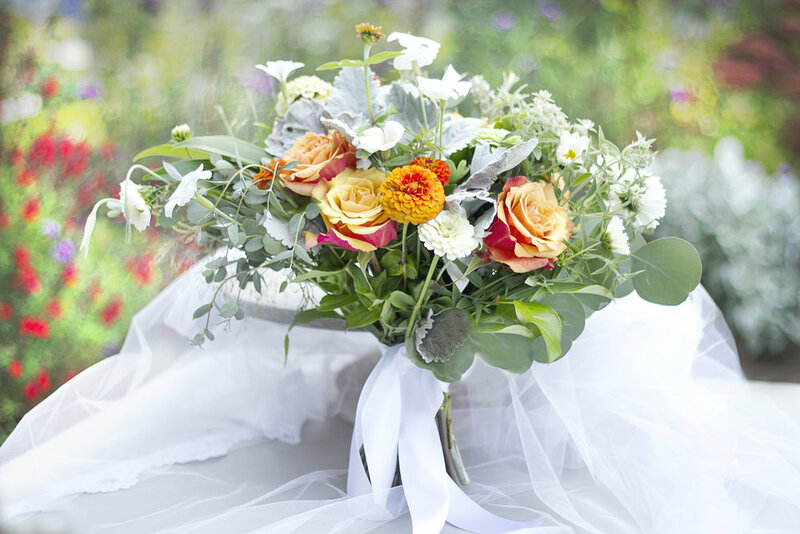 Would you love some of your wedding flowers as a keepsake, thank you or favor? I can do a variety of fun and unique container gardens. I love to use out of the ordinary containers and fill them to the brim with lush combinations of color and textures. Annuals, perennials, herbs, and succulents are some of the examples of ingredients I use. Container gardens are one of our specialties and I would enjoy creating a beautiful garden in a container just for you on your special day. 1. SUBMIT INQUIRY: To initiate the process, simply share a few details about your special day. Inquire about our availability for your event, by completing our brief online form. 2. SET UP APPOINTMENT: Upon receipt of your form, Scattered Seeds will confirm availability of your date and set up a complementary consultation for brides choosing my full service and personal floral packages. 3. 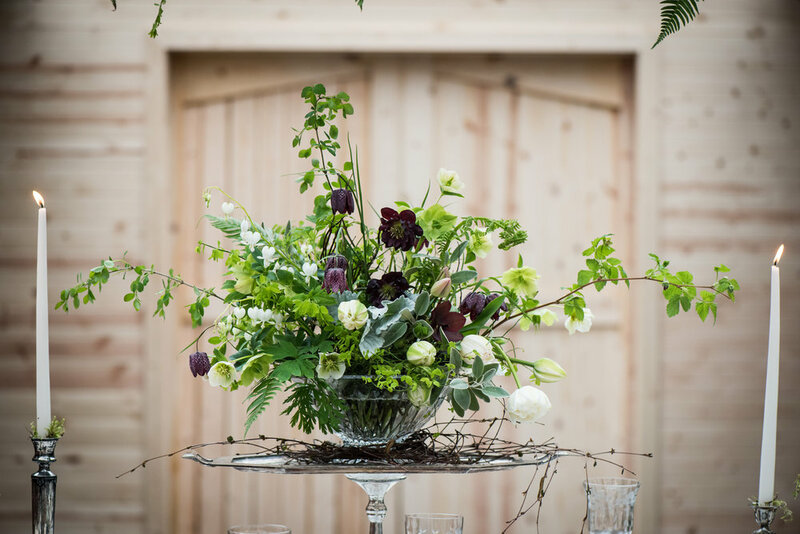 DISCUSS DETAILS: At your consultation, I’ll listen to your ideas and the vision you have for your wedding flowers and create a plan to make your floral designs meaningful and memorable. Following the meeting, I will provide a detailed proposal and estimate for your wedding flowers. 4. SUBMIT PAYMENTS: After reviewing your proposal, you can approve the plan as drafted, or request specific changes. If you wish to hold the date on our calendar, I ask for a $200 non-refundable deposit which will be applied to your balance. 50% of your order will be due at least 90 days before your event with the final payment due at least 30 days before your event.